Pack your bags and head for a holiday filled with great locations in Mexico. Mexico is overflowing with a myriad of activities that are sure to keep you busy for days on end. The country consists of several different cities including the popular Acapulco, Los Cabos, Puerto Vallarta and Tijuana and Cancun to name a few. 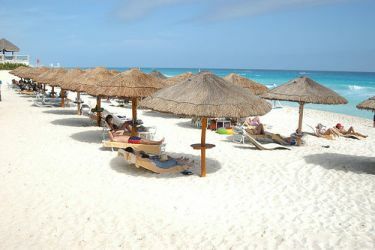 When in Mexico indulge in the countrys best attractions which include a massive shoreline, pyramids, and jungles. According to reports, Mexico draws some twenty million or more visitors on a yearly basis. Those who visit go there for the beach resorts in both Cancun and Puerto Vallarta while Acapulco is great for fishing. The nightlife is alive and kicking in Tijuana, a city that boasts a rich cultural event calendar which festivals which include the Muestra Internacional de Danza, which is a dance festival. Tijuana also has its fair share of several bars and restaurants for your added enjoyment.